I like to think I have a modest bag collection. But, different occasions call for different colours, sizes and styles. Forever changing them up on a daily basis, I spend a few precious minutes in the morning making transfers between my bags. For years, I would abuse my shoulders and back by lugging around a bag almost the same size as me, filled to the brim with practically anything I could fit into it. You know, just in case. Older and wiser, or now that my back lets me know when it's overloaded, I try to only take the important things out with me. For A/W, I always favour bags with a little more structure and I spotted this one on a recent, shopping trip. A smaller version of the classic city bag, the Zara Mini City Bag has all of the same, handy compartments. 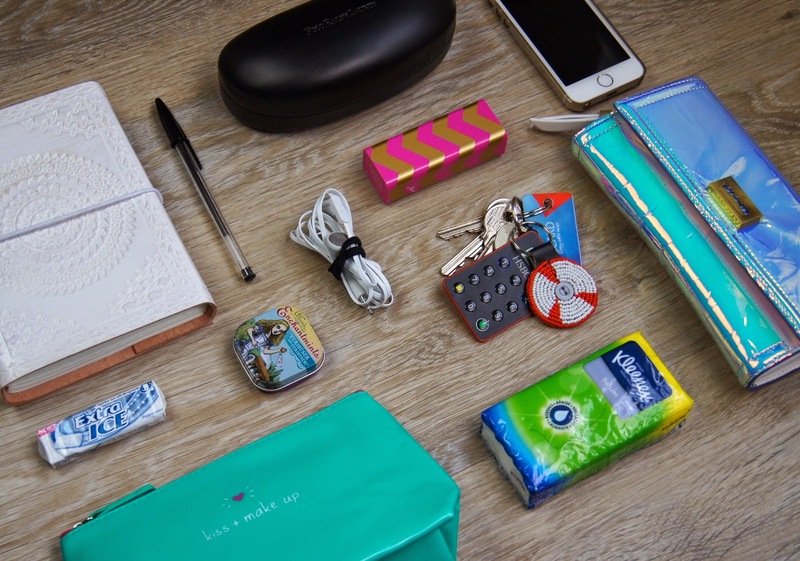 You can split your belongings between the three sections and zipped pockets, meaning you don't have to spend ages rummaging through the entire contents, looking for that lone key at the bottom. Well made, the bag is sturdy and you don't need to be too careful with it, as it won't get roughed up easily. You'd be surprised at how much you can stuff in there, with it being so small. It does come with a detachable, shoulder strap, but I prefer to carry this one in the crook of my arm. 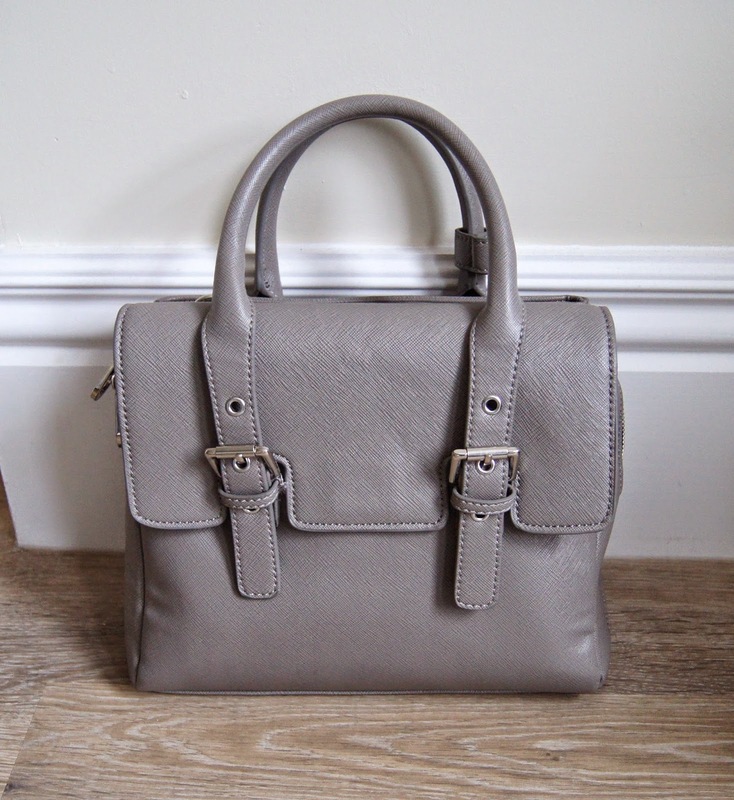 With my clothes and makeup adding colour to my looks in A/W, I like to wear neutral bags and this taupe shade will suit most outfits. My Alexander McQueen Hologram Laser Leather Purse was a very generous gift from my wonderful Mum, for my birthday. 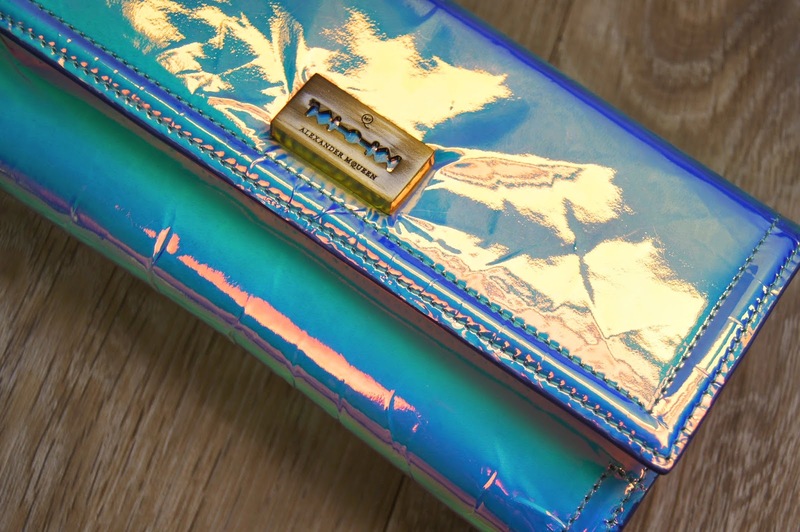 Opalescent finishes are just my favourite and whilst some people may despise it, I am obsessed with this purse. 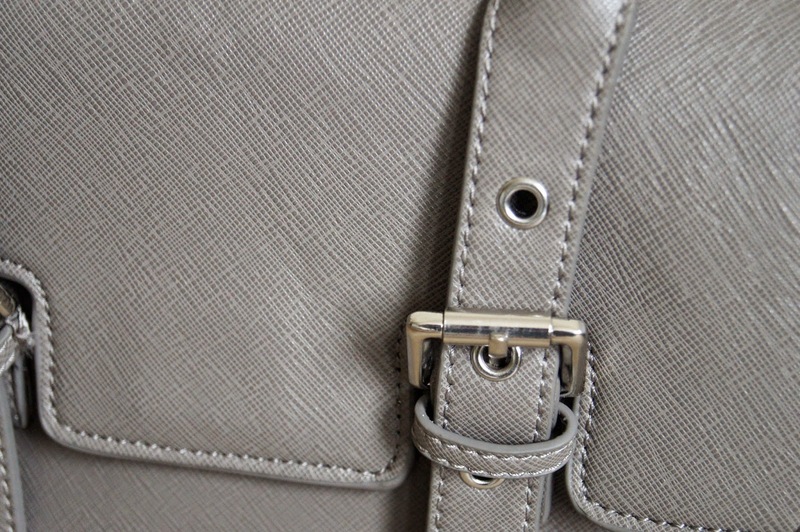 With continued use, the material begins to develop creases, giving the purse a distressed finish. It's only the outer layer that's affected, though and the rest of the leather stays pristine. Larger than most purses, this one won't fit into very small bags, but as I tend to only wear them in the evenings, I'd usually just take my card out with me, anyway. As I collect points cards and money-off vouchers like it's going out of fashion, my previous purses ended up bulging at the seams and I could never be bothered rifling through the stack when I was at the till, to use them. With so many card slots and separate sections, this purse is well organised and everything is easily accessible. 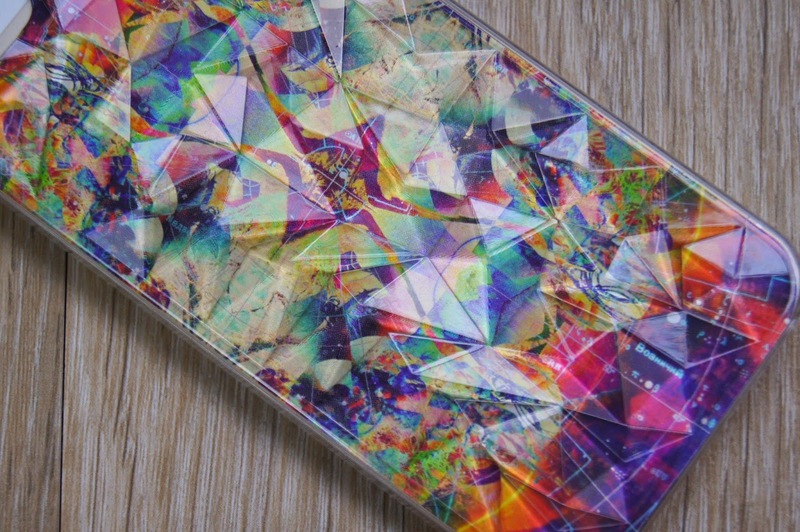 The bright, busy design of my phone case, paired with the multi-faceted texture is right up my street. The raised plastic also makes it easy to feel and quickly grab when it's at the bottom of my bag, too. Urban Outfitters is the place to go for quirky, tech cases and they aren't extortionately priced. 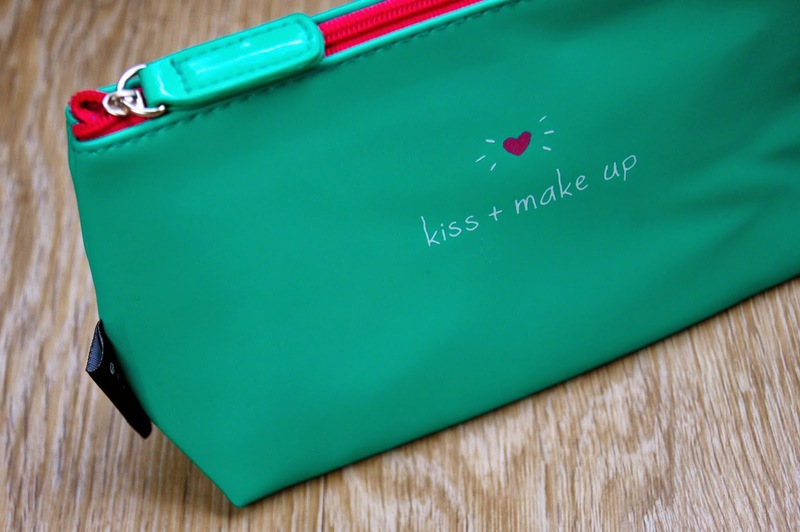 I picked up my Happy Jackson Kiss+ Make Up Cosmetic Bag from Selfridges. 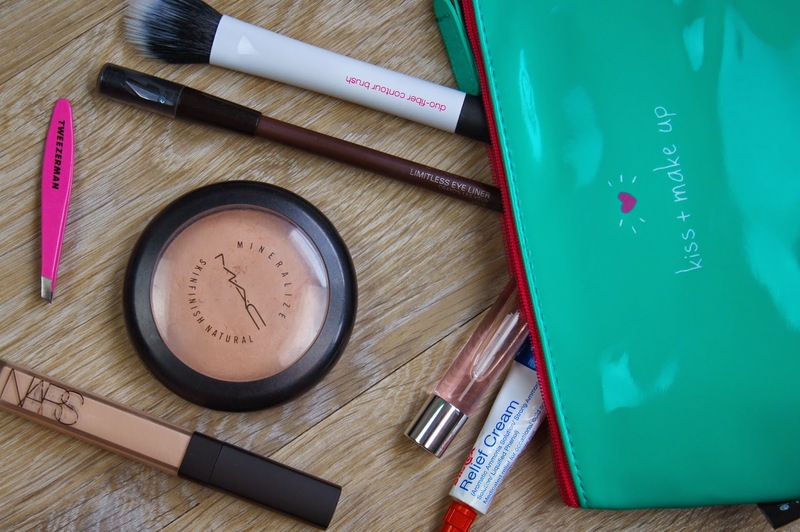 The perfect size to slot into your handbag, it can hold all my essentials, without being bulky. I'm having a bit of a love affair with green at the moment and I'm sucked in by anything that comes in the colour, so the spearmint shade won me over. 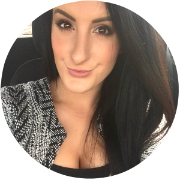 Day to day, depending on the makeup look I'm wearing, my essentials change. No matter what, I always carry a tube of Blistex Relief Cream, my Tweezerman Tweezers and either a Travalo filled with fragrance, or a mini perfume. At the moment, I'm getting as much use out of my Versace Bright Crystal Rollerball as possible, before I can no longer get away with sweet, summer scents. Nars' Radiant Creamy Concealer has been the only concealer I've used since I bought it, so it's always in there. Usually, if I know it's just an average day and no-one's going to whip a camera out, I like to dust on some MAC Mineralize Skinfinish Natural Powder, as it always looks radiant and never heavy when used with my Real Techniques Duo Fiber Contour Brush. Lastly, I like to carry an eyeliner with me, to top up my waterline or quickly intensify my lash line and make things a bit smokier, if I end with spontaneous, evening plans. Instead of using a harsh, black liner, I tend to opt for a deep brown instead, as it's softer and easier to work with if you're in a rush. Currently, I'm loving the Smashbox Limitless Eye Liner in Dark Brown, as it's long-lasting and has a genius in-built sharpener, which is ideal when you're on-the-go. I know, the sun has scampered as of late, but my eyes are sensitive all year round. Even the slightest appearance can make my eyes well up and I have to either squint or hang my head in avoidance. To save my older self having to worry about those deep set lines from years of contorting my face, I always carry a pair of sunglasses with me. 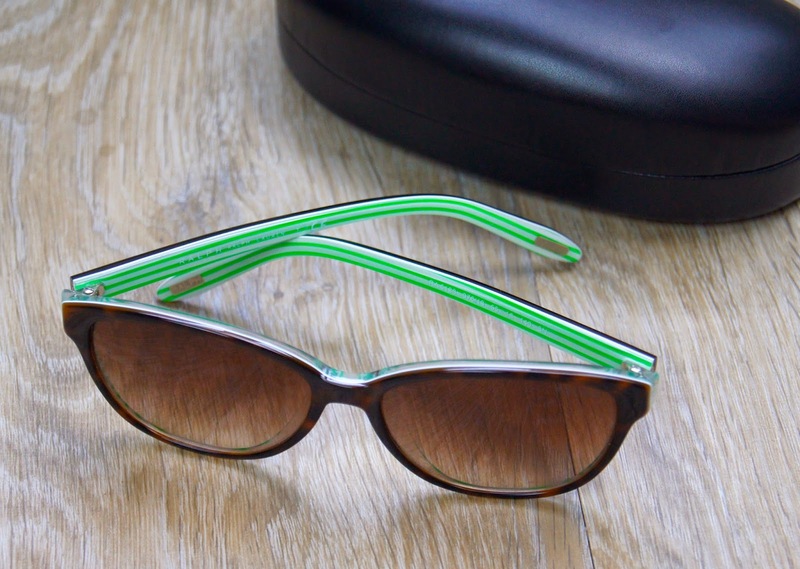 I bought a pair of Ralph Lauren RA5128 Sunglasses from John Lewis last year, but they recently made their way back into my bag, thanks to those acidic, lime stripes. Oval in shape, they're very flattering and the top edge wings out slightly further, to give a subtle, cat-eye effect. The tortoiseshell frame is much softer than black and goes so well with autumnal, make-up tones, too. 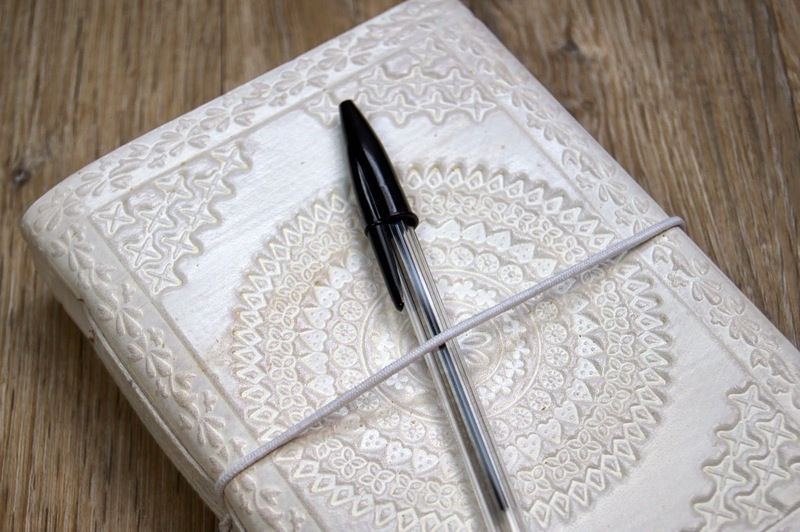 For me, a notebook and pen is a total essential. I luuuuurve to write me some lists. Sometimes, even a list of lists. You never quite know when the opportunity will strike to get that pen out, or when you're suddenly hit with that totally unique, million-dollar idea. Phones may have note apps now, but nothing can beat actually writing or drawing ideas and having a solid copy of them. If you have an iPhone, then you'll know just how irritating it is when you're greeted with a blank screen half-way through the day. Basically, the battery life suuuucks. 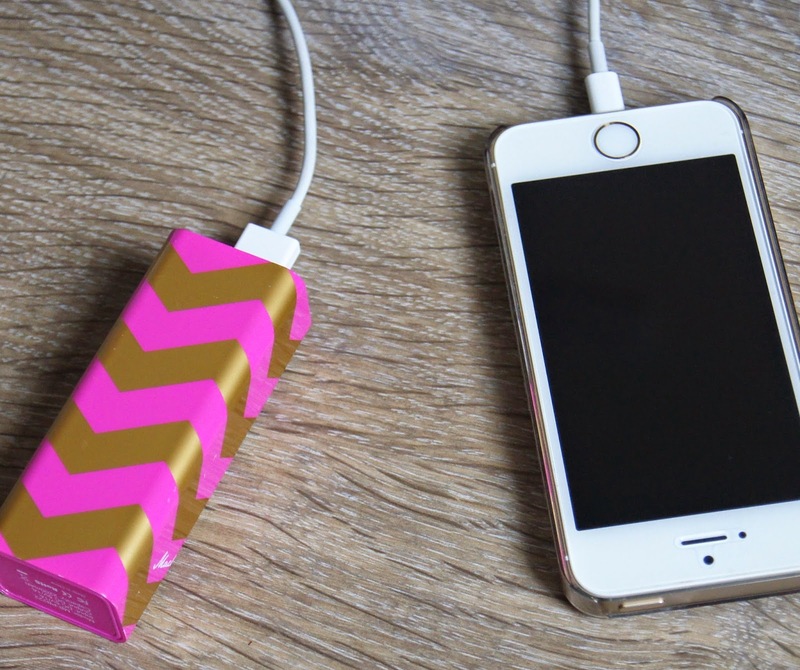 To avoid being caught short, I always carry my power bank with me. There's a plethora of different models out there and some can hold as many as ten, full charges. When I spotted this one by Margaret Josephs in TK Maxx, the pink and gold zigzags caught my eye. It may have been a case of aesthetics over practicality when I purchased it, as it does hold only one charge, but that's all I need. If I was planning to go anywhere for longer than a day, I'd take my original charger anyway. I couldn't forget all of the standard, boring bits-and-bobs in there, like tissues, gum, headphones (kept neat with a hairband) and keys. But, there are also a couple of special, sentimental items I keep in my bag. The Alice in Wonderland tin of 'Enchantmints' is one I continually refill and keep in my bag, as it was a little gift from my uncle, who I don't see often enough. Another gift from him, is my beaded keyring, which was hand-made in Africa. Inside my purse, I keep a short poem which my Mum once gave to me, which, now I've moved away across the country, is nice to get out and read when I'm missing her. If I ever lost my bag or had it stolen, it would definitely be these things that I'd be most upset about. 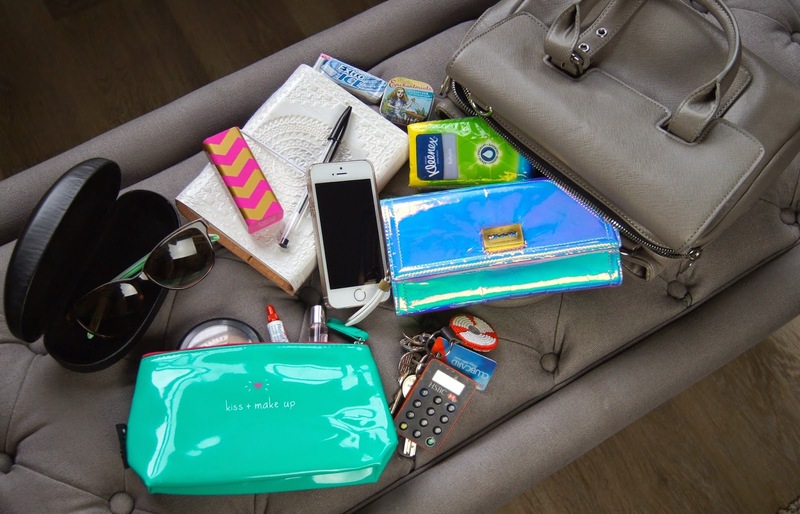 What essentials do you keep in your bag? I absolutely love your bag, make up bag and notebook. Its so my style!